Jack Fussell (Homepage) wrote: Great image...love the combination of DOF and texture. gavin hart (Homepage) wrote: Great processing, beautiful result. The texture, blur, hues, dof and composition all excellent. Miro at LightIsAllAround.com (Homepage) wrote: I like your "vertically blurred lineas" series, this one is may be the best one. Marie (Homepage) wrote: magnifique rendu. angie (Homepage) wrote: the canvas-texture is amazing. really lovely composition as well. Cerstin (Homepage) wrote: A superb painting, looks like a little watercolor - great on canvas. Wonderful ! NJ & SB Photography (Homepage) wrote: Has creado un tapiz muy bello, buen trabajo con el campo de enfoque y bellos resultados con la textura aplicaca!! Laurie (Homepage) wrote: This is just so very beautiful. sherri (Homepage) wrote: I love the colors and patterns in this capture. John Maslowski (Homepage) wrote: Stunning and creative image. The colors and tones are beautiful. Really a great job on this image. cashondeo (Homepage) wrote: Magnifica textura la qur has aplicado en la foto, le da un toque diferente a la captura! 613photo (Homepage) wrote: Very odd looking and quite beautiful. Looks like a watercolor at the bottom. Elaine- (Homepage) wrote: wonderful execution, zing takes photos like this and i'm sooo jealous! Ian Francisco (Homepage) wrote: The texture in this image reaches out to me, like I want to touch it. It's amazing that I am led to look at the blur! Zing (Homepage) wrote: Interesting shot, nice dof. 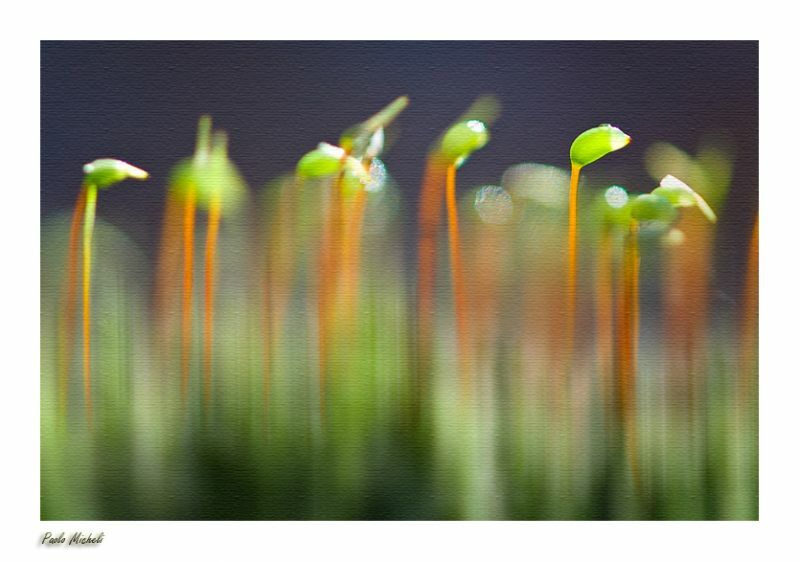 mbecher (Homepage) wrote: Looks like a cress army. Here I like the blur at the bottom. TP@Photoskiasi.com (Homepage) wrote: Excellent camera painting!!!! Calusarus (Homepage) wrote: A nice DoF, and a clever blur : a great macro. Cheers. Giovanni (Homepage) wrote: Bellissima foto, come sempre! Molto interessant la texture che hai usato. Fiona (Homepage) wrote: That's very nice. I like it. AC (Homepage) wrote: It seems to be a plant party! Very well executed snap - love the bokeh.